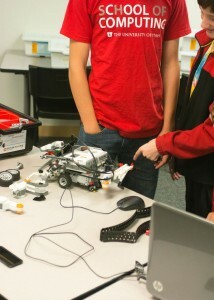 This year’s GREAT Camps at the University of Utah proved to be another successful summer journey for hundreds of Utah students wanting to learn about the power of computers, graphics and robots. 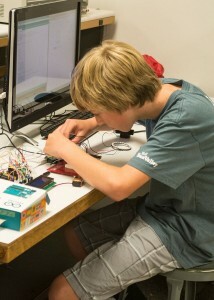 The GREAT Camps (Graphics and Robotic Exploration with Amazing Technology) invite students from elementary, middle and high schools to participate in one-week programs in which they learn programming for games, animation, and build LEGO robots. This year, Johnson also hosted a GREAT camp for refugee students from Africa as part of their after-school program. Some have come from countries including Sudan, Congo, and Nigeria. “In computer science, we’re eager to share our enthusiasm for it. It’s also a great field to be in, and we’re hopeful that some of these kids will get interested in computer science and pursue it as a career,” Johnson said. 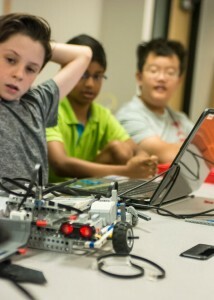 Microsoft, SanDisk, the Utah STEM Action Center, and the Lauer Family Foundation were sponsors of this year’s camps. 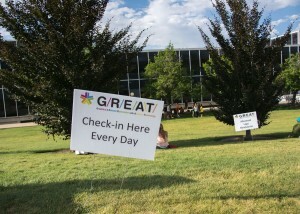 Check out more about the University of Utah’s GREAT Camps.